What is the role of parents, peers and teachers in shaping school experiences and informing the career choice of males and females? Does the school context matter, and to what extent do educational experiences influence young people's self-concept, values and their outlook to the future? Do teenage aspirations influence later outcomes regarding educational attainment and the assumption of work and family related roles? These questions and more are addressed in the chapters of this book, following lives over time and in context. The book is both innovative and timely, moving the discussion of gender inequalities forward, providing a dynamic and contextualized account of the way gendered lives evolve. 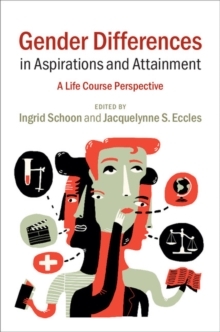 Chapters address the role of institutional structures and the wider socio-historical context in helping young men and women to realize their ambitions. A unique feature is the longitudinal perspective, examining the role of multiple interlinked influences on individual life planning and attainment.